Mission: Children with congenital heart disease often die before reaching adolescence. Little Red Scarf intervenes to give these children new hearts, thus renewing their dreams and hopes of life. 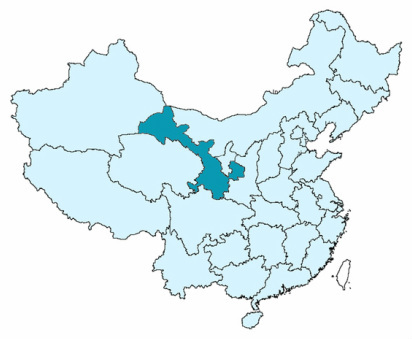 Description: Congenital heart disease (CHD) in rural Gansu Province is highly prevalent. As many as one in 125 children may be born with the disease, but most children come from impoverished families and are unable to afford treatment. 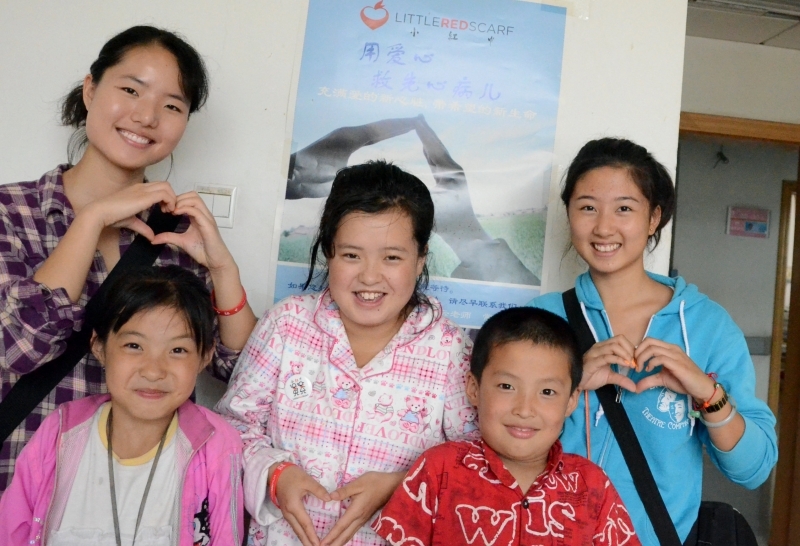 Little Red Scarf finances surgeries and other medical treatments for these youth. We have funded over 1220 surgeries during the past ten years. Additionally, local LRS staff and volunteers provide social and emotional support to children and their families during their hospital stay. Sponsor a child's surgery for $2000. ​There are a lot of children under one year old with complex congenital heart disease. It is very difficult to treat and also very costly. We learned that Gansu Provincial Women and Children Hospital is the best place to treat infants and very young children with congenital heart disease in Gansu. In 2017 we funded 10 children who were all successfully operated on as a pilot project (6 cases of complicated congenital heart disease, 4 cases of simple congenital heart disease, children with an average age of two years and seven months). In September 2017, Little Red Scarf signed an official contract with Provincial Women and Children Hospital, and so far we have successfully treated 19 children of which the oldest is 6 years old, the youngest of 22 days. There was completion of two complicated case of congenital heart surgery, one case of aortic transposition surgery and the other case of four surgery + pulmonary valve insufficiency correction surgery + left pulmonary artery transplantation. The two cases of surgery enabled Little Red Scarf to extend its care to infants with complex congenital heart disease. ​Xue Er was diagnosed with complex congenital heart disease (ventricular septal defect + pulmonary stenosis + tricuspid atresia) at 7 months of age, and required two surgeries. 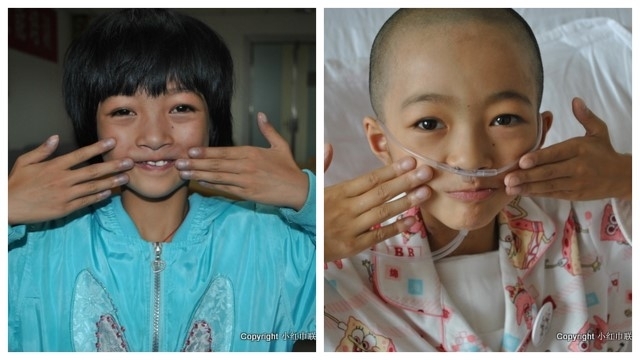 Her family never gave up on the idea of surgeries for the past 6 years. Both of her parents suffered from various degrees of illness even though they are less than 50 years old. The burden of family life is mainly on her mother, and her brother's college expenses is their main expense. They planted corn in their 6 acres of land with an annual income of only 12,000 which is the family's main source of income. The surgical risks are very high for Xue Er because of the complexity of her heart conditions. Her father once had advised Cher to give up surgery, but Xue Er said: "No, I want to go to school, I want surgery!" It is Xue Er's belief that she successfully completed an operation. ​Kangcheng's name means the best wish from his family. He was diagnosed with complex congenital heart disease (permanent dry arteries + single heart + complete endocardial cushion defect + mirror right centrum), and was admitted to hospital four times. Both the family and the doctor are not optimistic about surgery, however Kangchang got a once in a life time opportunity when he was six months old to have his first heart surgery. There are six people in the family, three of whom are seriously ill. Their average annual income is $170 USD which can provide for their basic living expenses. Kangcheng will need more surgeries in the future. We hope that Kang will stay brave and not given up like how he was in the first surgery. Little Red Scarf will be with these children and grow with them. When Jinhui was 2 years old, he was diagnosed with complex CHD. The doctor estimated he would need at least 10000 yuan to perform the operation, which made Jinhui's father worry immensely,because he only had 3000 yuan with him. So he carried his young child and went home quickly after taking the echocardiogram. There are 5 people in Jinhui's family. Jinhui's grandfather has had Cerebral Infarction for 5 years, where his hands shake so much he can’t even hold chopsticks. This makes him need someone to look after him all the time. The family has 5 mountain fields, but the crops could be eaten by wild boar at any time which would leave them nothing. To support the family, Jinhui's father has had to work outside for years. Four years have passed, without much saved, and Jinhui's symptoms became worse and worse. The young boy used to be able to happily run around, but now, he can barely move a step. His father became so worried that he borrowed 40000yuan,in addition to 4900 gathered by all his relatives back in Lanzhou. It was so fortunate for them that they met the LRS. With the support of the LRS, Jinhui finished his first stage operation. There will be a second one in two years. When you see the smiles on Jinhui and his parents' faces, you know how precious the support is. 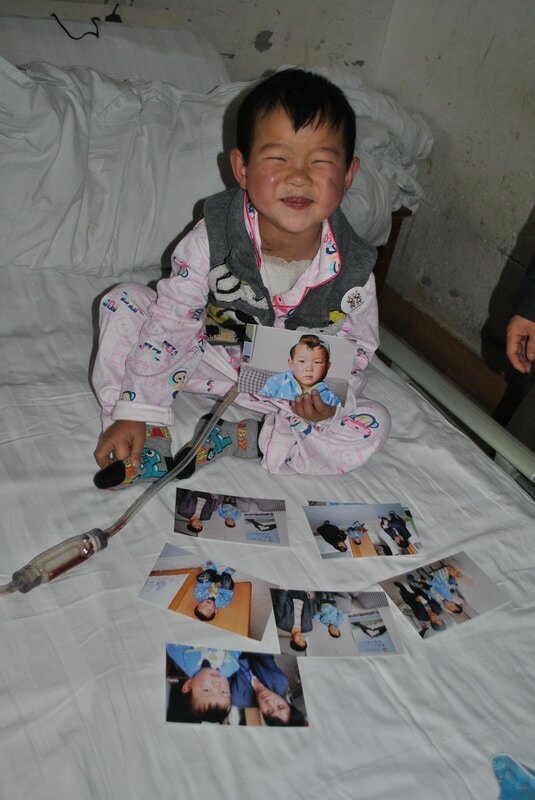 Thanks to the success of the surgery, little Jinhui now goes to school with his own schoolbag and his photos, but the most important thing is that he has a healthy heart! ​Cuimei is a 4-year-old girl. We were able to get to know her because of her younger brother Shixiang, who had been supported by LRS before. 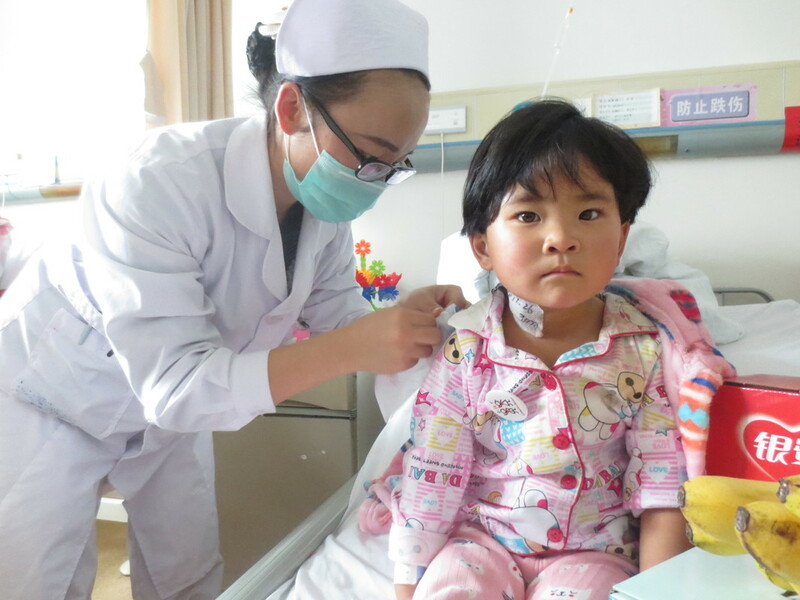 Cuimei's parents had suspected that their daughter also had CHD, but because they had no money and because Cuimei was a girl, her parents never let her get any check ups. When LRS heard of this case, they supported all the necessary expenses, including traveling costs and check up fees to let Cuimei come to Lanzhou. 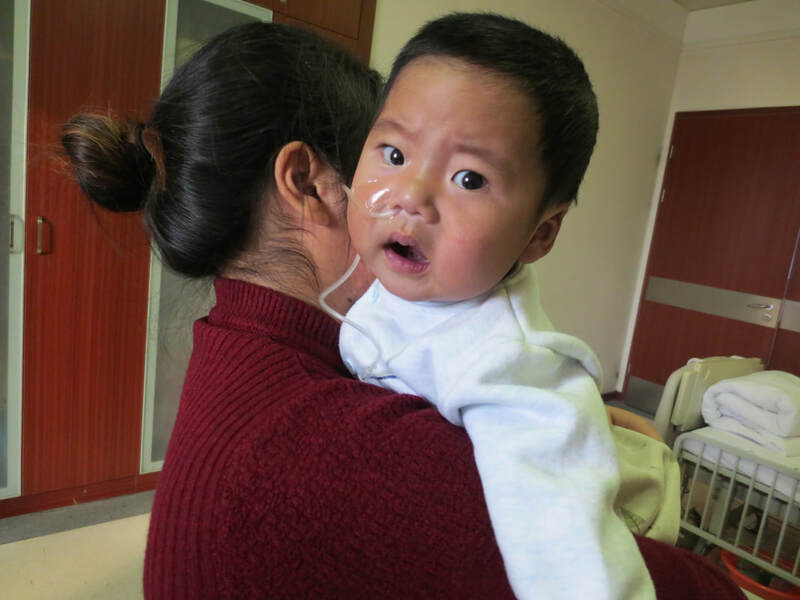 The check up results confirmed that Cuimei had Ventricular septal defect （VSD). Both Cuimei's two brothers had had critical CHD. The family had been through this heart broken process before. They had tried to look for the proper treatment everywhere, but being heavy burdened by debt before, they couldn’t save their boys' lives. After Shixiang passed away, the LRS contacted Cuimei's parents several times in attempts to persuade them to have the operation for Cuimei. With two sons lost, the parents worried that the operation might not be successful. Soon after, the parents accepted the suggestion from the LRS. Cuimei's surgery was very successful which led her to have a healthy pumping heart. Cuimei's family has suffered a lot in the past and bad things have happened to them. LRS visited them and from then on has always given the family true help with never giving up on Cuimei. There is one saying in an ancient book, Liao-Fan-4-Lessons, telling us to perform a good deed every day to accumulate kindness and virtue. What LRS is doing to help children with CHD in poverty-stricken families equates to many, many good deeds every day. Lu Lu was supported by LRS in 2013. When they apply for the support, her father had been suffered from diabetes for years. When we called Lu Lu 1 year after her operation, we was sad to know her father died of diabetic complications not long after her operation, leaving old mother and 3 young children to his wife. The family has 3 mu of fields which could feed the family, but the children need money for their education. 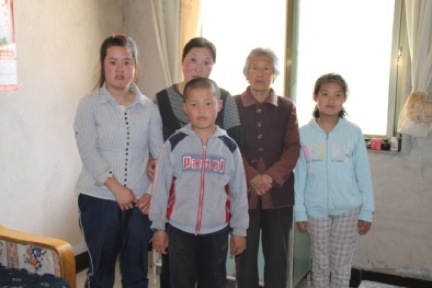 Lu Lu’s mother had left the children to her mother-in-law and went to Lanzhou to work. In May of 2015, we visited Lu Lu and go to know their current situation. We applied support from LRS for 3 children. 2000RMB was sent to them. We will keep following up. On Mother’s Day, the story of Mai Mai’s mother moved a lot of persons from abroad. They donated money to her. With the invitation of LRS, her mother came to Lanzhou in August. We contacted the doctor and arranged a physical check for her. The doctor decided to do a check for free for Mai Mai’s mother when he got know her situation. According to her mother’s actual physical situation, he gave proper prescription to her. LRS purchased oxygen machine and medicines to her with the donated money. Mai Mai’s mother said she would try her best to live longer and take good care of the family. Thank all donors. Hong Hong is the child supported by LRS for congenital heart disease in 2013. We visited her family in 2014. Her parents are mentally retarded. One of her brothers lost his left eye sight. They have fewer fields. Life is difficult for them. Hong Hong does well at school and she is in senior high school. We applied Care Plan of LRS for her to support her education. We sent Hong Hong 300RMB each month. Hope everything goes well for her study. 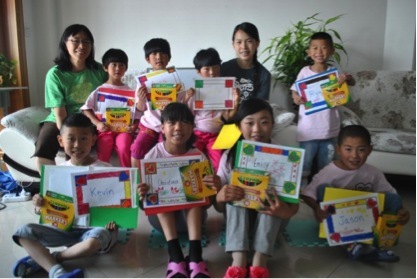 In August, 2014, Lanzhou Office of LRS hosted summer camp. During the camp period, we had doctor from the US and Sister Tian Yan. Doctor Gan and Tian Yan would accompany the children for the nice week. LRS Summer Camp not only provided learning activity for the children from rural areas, but also help them to build self-esteem. Now they are not only as healthy as normal children, but their ability and potential were motivated. In September 2014, we visited Xiao Wen with volunteers from the US. Xiao Wen just accepted the operation. He was diagnosed congenital heart disease during physical examination. 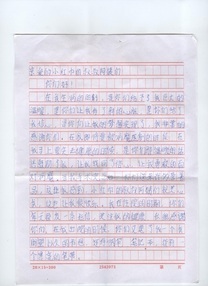 Xiao Wen’s family had to support two children for their education. With the support of LRS, Xiao Wen completed the operation. In 2 month, he went back to school and began his study for preparing university admission test. We visited Xiao Wen and his family with the volunteers. Da Yong had suffered from congenital heart disease and pulmonary hypertension. He accepted the operation when he was 10. He was diagnosed pulmonary hypertension 2 years after the operation. He had to rely on medicines to reduce blood pressure. LRS had been concerning about the optimistic lad. 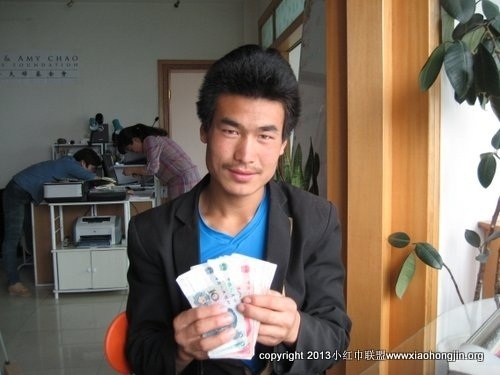 We sent him 2000RMB of gift money for his daily life. We hope Da Yong good health and all the best for his study. Jing Bo and her mother in hospital in 2011. He was 9 months. Jing Bo and her mother in 2014. He accepted operation on deft lip and palate and he was 3. Jing Bo suffered from serious deft lip and palate. With the support of LRS, he accepted the operation for congenital heart disease in 2011. His heart had been beating slowly. The doctor suggested him to install heart pacemaker. 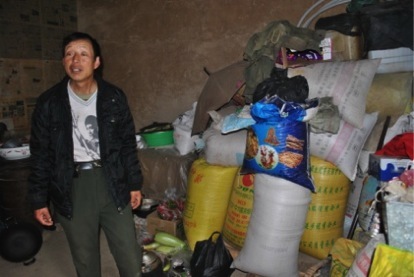 LRS had been caring about the progress of Jing Bo and had been raising money for him. Fortunately, the doctor found his heart beats became normal in the later checks. With currently progress, he do not need heart pacemaker. In 2014, his mother called us and told us Jing Bo came to Lanzhou again for his lip operation. We saw the little boy in the hospital. His heart has been recovered well. Hope Jing Bo and his family happy ever after. In July, Lily was admitted to the hospital for congenital heart disease. Before her surgery she exhibited the common signs of heart disease including blue skin and clubbed fingers. Thankfully, Lily's surgery was a great success and she was able to return home with her family to recover and begin a normal healthy life! This year, TFISH interns Sarah Chang and Janna Wang spent the summer in Gansu, working for LRS. In addition to supporting patients,Sarah researched NGO transparency and Janna worked as a videographer! TFISH fund successfully helped Xiele with her extremely high heart surgery fees, all a result of her complicated surgery and over one month stay at the hospital. This was her second heart surgery. 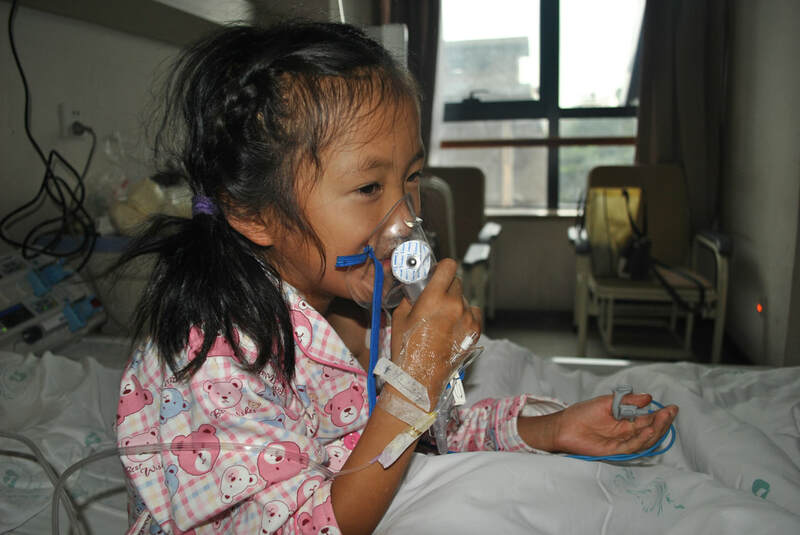 Xiele is an 8 year old girl from Baiyin who was less developed than her peers from heart disease and malnutrition. CunHua entered the hospital in October of 2012 displaying severe symptoms of CHD. 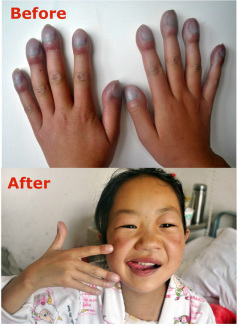 However, within just hours of a successful operation, CunHua's clubbed fingers had reduced in size and healthy color had returned to her skin. Seanan Fong was an intern with LRS during the fall of 2010. He spent 10 weeks on the ground shadowing and blogging about the experiences of the children going through the program. 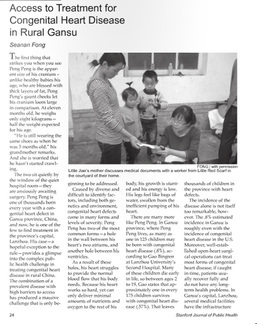 In 2012, he wrote an article for the Stanford Journal of Public Health on the work of LRS and the need for CHD treatment in rural Gansu. "When I was sick, you made me feel warm; you gave me a new heart; you gave me confidence; and you made my dream come true. I am very thankful for all your help. While I was overwhelmed by illness and on the verge of losing my health, your warm words encouraged me and helped me find the confidence to face my illness." In 2012, LRS completed over 200 operations, for a grand total of 900 surgeries since 2008. LRS is working hard to reach the milestone of 1000 children saved, and they need your support to reach that exciting goal!